A unique twist to a practical favor, our rose towel favors are sure to add a unique touch to your special day. From the sweet treats towel favors collection a lovely rosebud that is actually a 100% cotton hand towel. 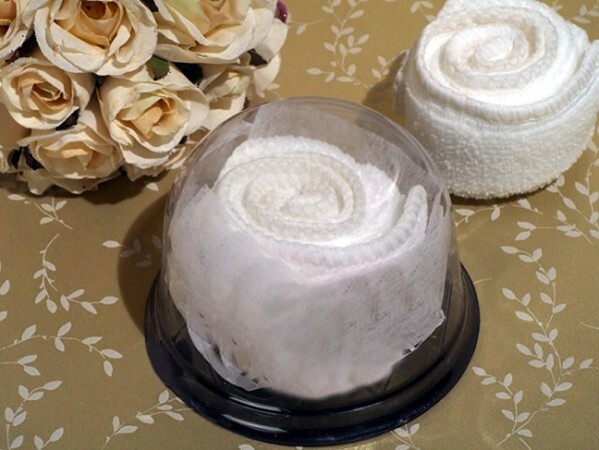 Each of these dazzling favors is made of a white towel rolled to look like a lovely blooming white rose bud. Each comes finished in a clear dome gift box. The towels measure approximately 7.5" x 7.5".